Cosmopolitan Magazine launched its Beats Issue and on the cover is non-other than the amazing vocalist, Shekhinah Thandi Donnell popularly known as Shekinah. The singer/songwriter speaks about her journey from Idols to super-stardom. She is loved globally for her charismatic smile, eclectic sound and quirky style. 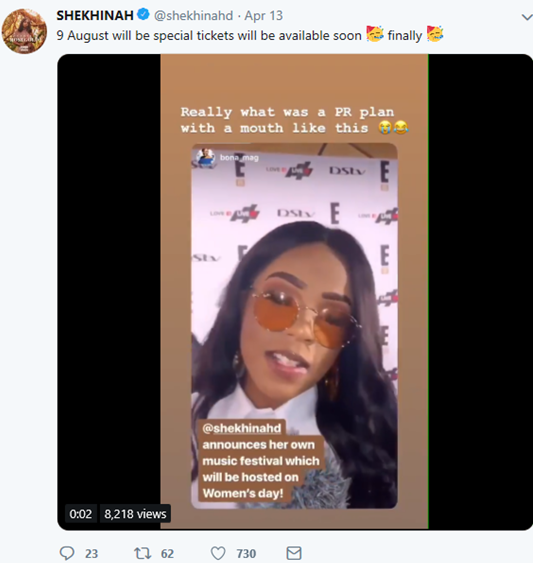 The 24-year old recently announced that she will be hosting her own festival taking place on Women's Day which is much anticipated. The Magazine Issue also includes a fashion editorial of other pioneers in the music industry namely: Rouge, NoMoozlie and Gigi LaMayne.